You are here: Home › Garden design › Does your garden need a message? Does your garden need a message? • Comments Off on Does your garden need a message? I spent a day at the Hampton Court Flower Show in July and have since been pondering the question “does your (or my) garden need a message?”. Readers of this column will know that I am a firm believer in looking at other gardens for ideas whether these are permanent gardens or show installations. One of the key differences between these two, apart from the obvious one of reality, is that so many show gardens nowadays seem to carry a message. This could be simply to raise brand awareness of a sponsor – building a garden in an empty field for a week does not come cheap – or the work of a charity. Or it could be a message to society in one of the conceptual gardens. My experience of looking at the latter is that it is easy to go overboard on the concept and lose sight of the garden element. Displaying a landscape ravaged by human activity does not make for an attractive garden. 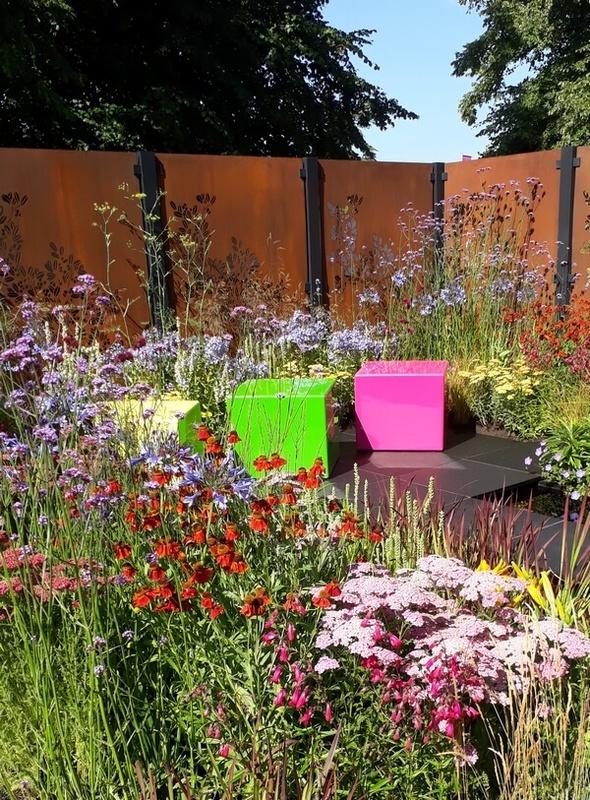 There are successful combinations too though; I loved Tom Massey’s spiral garden leading from bright chaos on the outside to a calm green sanctuary at the centre, surely summing up what a garden means to many of us. One of the most popular gardens, judging from visitors’ admiring comments and one that I also thought epitomised stunning planting shown off by simple design was the Colour Box garden. The ‘message’ of this garden: There is no message, it is a garden, it is all about the plants. It was successful because the designer, Charlie Bloom had a clear vision, she settled on a style and stuck to it. And showed that hard landscaping is important to create the setting and for functionality (paths, seating etc.) but at the end of the day a garden should be “all about the plants”. My conclusion: a consistent style, balanced design and knowledgeable choice of plants are what matter to create a space people want to sit in. Adding a message is entirely optional but should be as well and not instead.